The actual establishment of the School came about through the persistent campaign of a local farm manager, Horace J. Smith. After some years of correspondence with various governmental agents and private individuals, Smith wrote to Dr. William Pepper, professor of clinical medicine (and later provost) of the University of Pennsylvania, inquiring as to whether the medical faculty “would be likely to approve of having a chair of Veterinary Science established in connection with the University of Pennsylvania.” On November 30, 1877 the medical faculty passed a resolution stating “that it would be desirable to establish a Professorship of Veterinary Medicine and Surgery whenever a suitable endowment can be procured for this purpose.” The Trustees of the University acted favorably on this resolution. But it was not until 1883 that sufficient funds were procured to construct a building for a Veterinary Department. 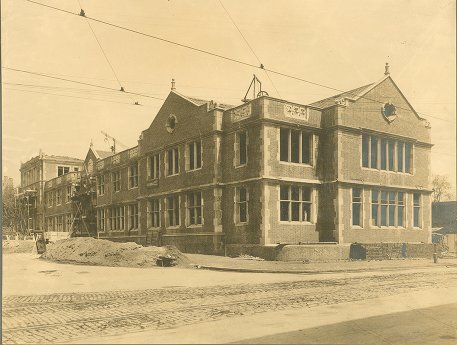 The original building of the Veterinary Department stood at 36th and Pine streets, on a site now occupied by the Medical Laboratories Building. Pine Street, at that location, has now become Hamilton Walk. 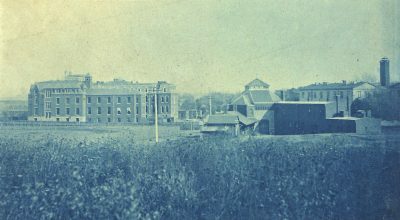 The Veterinary Department remained there until 1901, when the building was torn down to make room for the growing Medical School. From 1901 to 1907 the Veterinary Department was located in a converted car barn. This structure, which was totally unsatisfactory, was located on Woodland Avenue between 38th and 39th Streets. In 1907 the firstsection of the modern quadrangle building at 39th Street and Woodland Avenue was finished. 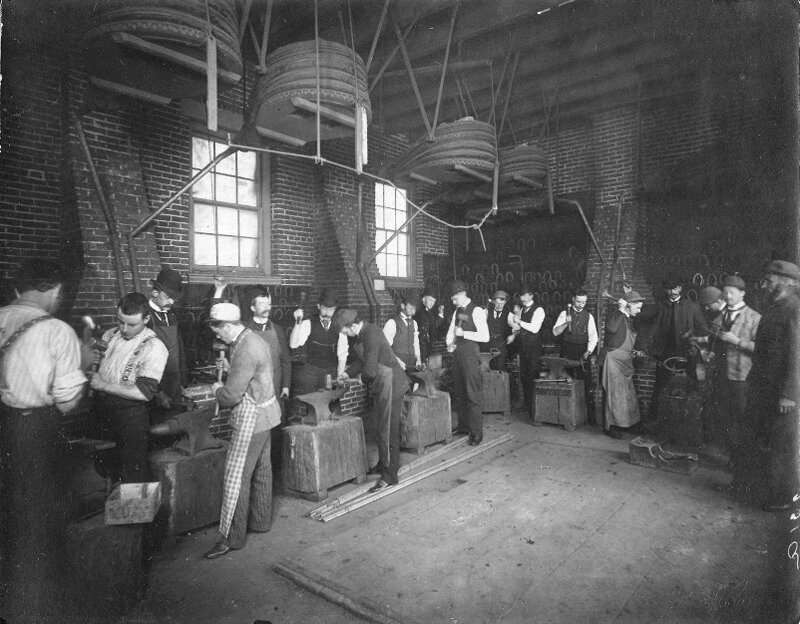 Between this time and 1913 the structure was completed. In 1963 a new building, now known as the Rosenthal Building, was constructed. This faces Spruce Street and connects to the old quadrangle building. In 1981 a new hospital building, known as the Veterinary Hospital of the University of Pennsylvania (VHUP) was dedicated. This also attaches to the original quadrangle building. In 1952 the Veterinary School acquired a tract of land in Chester County, near Kennett Square, Pennsylvania. This became New Bolton Center, the rural campus of the School. New Bolton Center, located thirty-two miles southwest of Philadelphia, now comprises over 1,000 acres containing over 70 buildings. 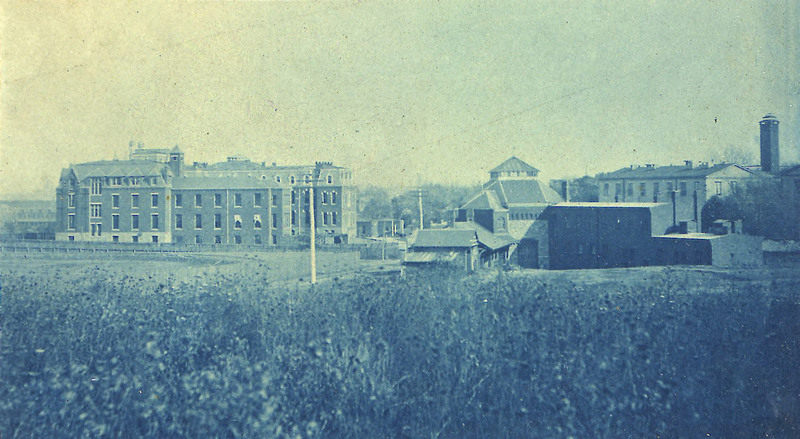 Located here are a fully equipped hospital for horses and farm animals (the George D. Widener Hospital), a dormitory, classrooms, and meeting rooms, and research and diagnostic laboratories.